First dance for the bride and groom at Gamba's Ristorante. 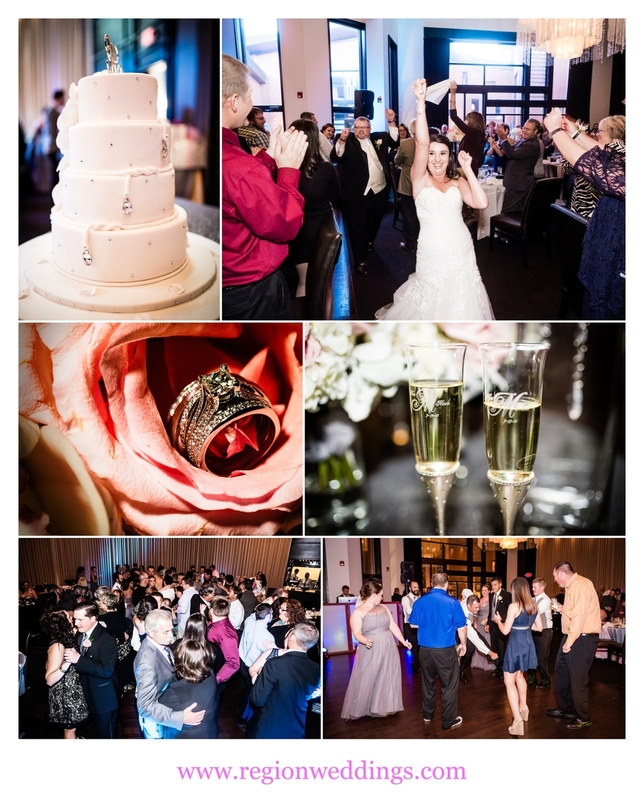 It came as no surprise to me that Allen and Nicole were introduced to friends and family at their reception at Gamba's Ristorante to the sounds of the Chicago Blackhawks Win Song!! A year ago I photographed their engagement session in Chicago that featured the happy couple in Hawks jerseys. What a fun introduction it was!! Their day started out at Chesterton United Methodist Church where emotions got teary eyed as Nicole and her bridesmaids got ready for her big day. The bride and her bridesmaids get ready at Chesterton United Methodist Church. The emotions spilled over to the groom as well as Nicole's Dad as he escorted her to the front of the church. It was a terrific ceremony with laughter, tears and... bubbles!! 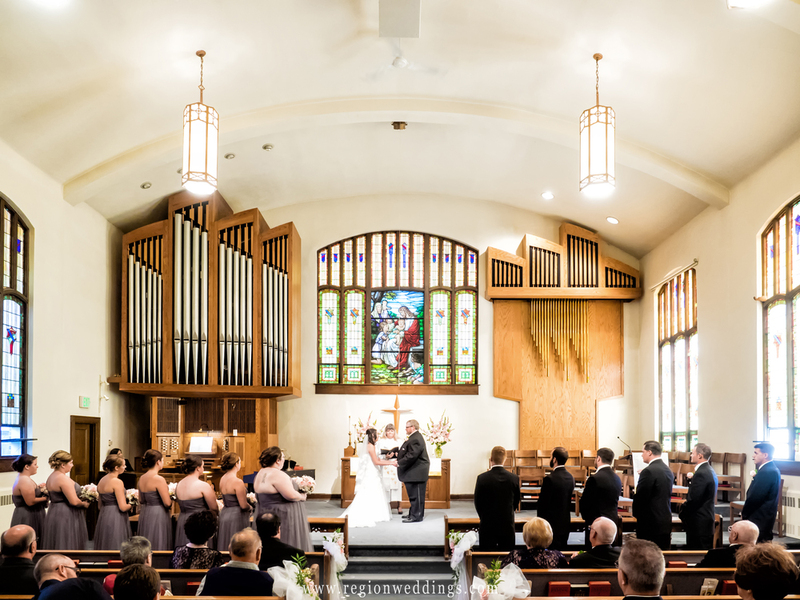 Wedding ceremony at Chesterton United Methodist Church. We did family and wedding party photos in the church and then it was off to Coffee Creek Park where there wasn't a cloud in the sky. We captured the couple and wedding party with the picturesque fountain in the background and then found a quiet bench for our newly married couple to have a romantic moment. 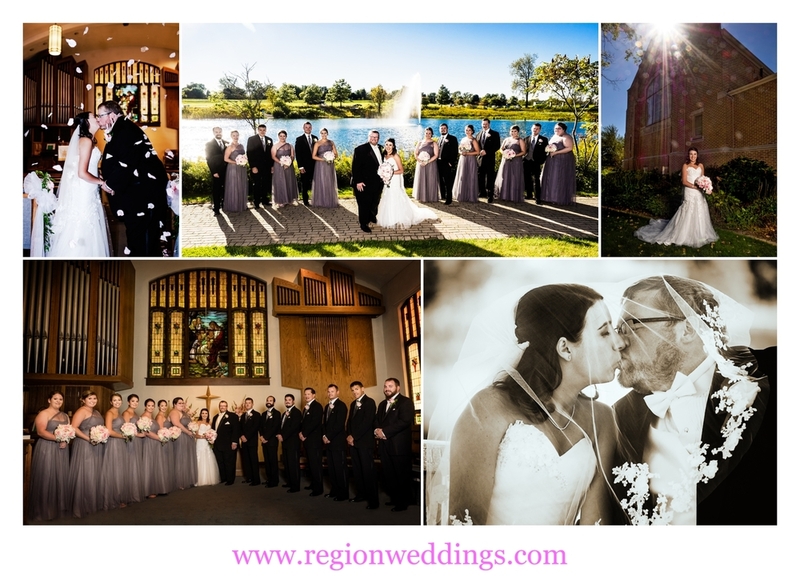 Wedding photos in Chesterton, Indiana. Bride and groom at Coffee Creek Park in Chesterton, Indiana. The dance floor was packed all night at Gamba's Ristorante. I had to go overhead to capture faces while second photographer Lauren captured the cake and the delightful champagne glasses engraved with the couple's names and wedding date. Wedding reception at Gamba's Ristorante in Merrillville, Indiana. I hope you have enjoyed this sneak peek look at Allen and Nicole's wedding. 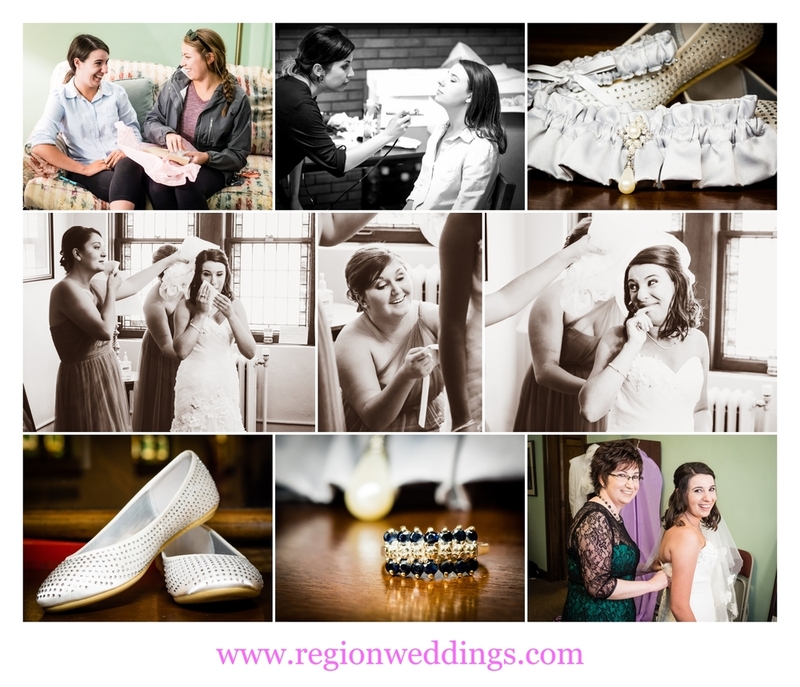 Please follow Region Weddings on social media for more images! !